PORTSMOUTH, NH, USA – February 14, 2018 – The Micronics Engineered Filtration Group (Micronics Filtration Holdings, Inc.) announces that Steve Bender has joined the Company as Regional Sales Manager for the Ohio Valley Region. Steve will be responsible for regional sales of Micronics’ filter press products including filter press, filter cloth, filter plate, press parts & accessories, and service offerings to our valued customers in Michigan, Indiana, Ohio, Kentucky, Tennessee, West Virginia, as well as the Canadian Province of Ontario. Steve is an accomplished filter press dewatering systems solutions professional including technical sales management experience at MW Watermark, Siemens Water Technology, and Pacific Press Company. He is knowledgeable in a host of end-markets including water and wastewater, food and beverage, power, mining, metal hydroxide, and general industrial. Steve holds a Bachelor’s degree in Business Administration from Grand Valley State University in Allendale, Michigan. 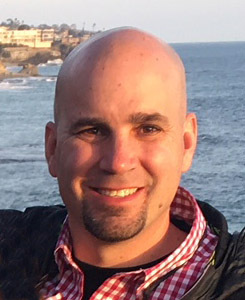 Steve will report to Jason Wettstaedt, Vice President of Sales, North America, for the Micronics Engineered Filtration Group. “Steve is a knowledgeable, hands-on dewatering systems expert and we are very excited that he has joined the Micronics Engineered Filtration team. We look forward to his building strong face-to-face relationships with customers in this rich and diverse territory,” said Bernie Faulkner, President and CEO, Micronics Engineered Filtration Group.